In compliance with its statutory and regulatory mandates, as well as to the implementation of the Strategic Plan (PE) 2017-2021, the IACHR is now strengthening its institutional alliances by means of the signature of several cooperation agreements with different state entities, academic centers, civil society organizations and international organizations. The IACHR understands that the strengthening of state institutions is nowadays the basis to materialize the enjoyment of rights in the Americas. In light of these facts, the IACHR has the interest to proactively contribute to the existence of real objective conditions within the member states that actually materialize in real life. For this objective to become real, the IACHR has set the goal of strengthening its technical assistance activities with the member states in order to develop public policy with a perspective on human rights, achieving this purpose by means of the signature of cooperation agreements. On the other end, the effectiveness of the Interamerican Human Rights System encompasses as one of its fundamental pillars, the role of social and academic agents, this is because organized civil society promotes the achievements on human rights matters. That is how civil society, social movements as well as the academia have been a fundamental pillar for the work of the IACHR since its inception and therefore the IACHR holds as on its goals within its strategic agenda, the quest to strengthen the participation of social agents by means of the creation of channels of communication, dialogue and participation, as well as by the establishment of alliances with key agents in the region. The IACHR also pretends to create spaces of active collaboration with academic centers to boost knowledge and interest in the protection and defense of human rights in the Americas. The Strategic Program 12 (P12) of the Strategic Plan is specifically oriented at strengthening agreements with academic investigation centers and to propel the creation of an Academic Network which is specialized in the Interamerican Human Rights System that can contribute with studies, investigations and other joint activities to deepen the knowledge and generate information that is relevant to the promotion and defense of human rights in the region, as well as to create alliances to receive professionals through internships, scholarships or as associate personnel. Along these lines, the IACHR has advanced in the reinforcement of institutional alliances by creating regulatory frameworks of cooperation to apply and promote the Interamerican Human Rights System, as well as through the exchange of information and pedagogical, theoretical and communicative tools to solve the present problems of the hemispheric human rights agenda. Likewise, the implementation of the Associate Personnel and Scholarship Programs are among the pursued objectives, programs which allow the Commission to count on the experience and the enormous contribution of professionals to carry out specific work at the headquarters of the IACHR. The Program of Associate Personnel is regulated by the General Standards of the General Secretariat of the OAS. Rule 104.19(a) establishes that Associate Personal is that which works in virtue of a temporary appointment to carry out professional, technical, administrative, scientific or support functions in accordance with the agreements entered into with other institutions that participate in programs of common interest or to render ad honorém services with the authorization of the institutions to which they belong. To be part of the Associate Personnel Program, candidates must have a university degree in law, political science, international relations, social sciences, administration or press and communications, and at least four (4) years of experience in similar positions at the national or international level; or a master's degree in one of the disciplines listed above and 1 year of relevant experience, or a PhD. Proficiency in Spanish and English (reading, writing, and speaking) is mandatory, and knowledge of Portuguese and French is desirable. It is important to note that candidates must be presented and sponsored by their respective institutions. In regards to the program of fellows, the Scholarship is aimed at acquiring practical experience in the operation of the Interamerican Human Rights System, specifically in the work of the Executive Secretariat of the Interamerican Commission on Human Rights, so that the knowledge acquired can subsequently be applied in the country of origin. Each scholarship recipient may participate in courses and training activities at other institutions, at their own expense, and in general, outside the agreed working hours. Candidates must be students or professionals with specialized training, demonstrate their commitment to human rights, and have a solid academic background and a command of at least two (2) official OAS languages. In general, the scholarship will have a duration of twelve (12) months. The following is a list of the agreements that the IACHR aspires to continue deepening and disseminating throughout the region. On February 4, 2019, the IACHR and the School of Law and Social Sciences of the University of Monterrey signed an agreement to establish a regulatory framework for cooperation mechanisms to support and publicize the work of the IACHR and the Office of the Special Rapporteur on Economic, Social, Cultural, and Environmental Rights (OSRESCER). The agreement also seeks to promote the use of the Inter-American Human Rights System and its standards and training on these among the university community and the general public, with a particular focus on economic, social, cultural, and environmental rights. The agreement also establishes a professional exchange program through which members of the School of Law can take part in the OAS Academic Scholarship Program, particularly within the OSRESCER. On January 7, 2019, the Office of the United Nations High Commissioner for Refugees, the IACHR, and the judiciary of Honduras signed a memorandum of understanding with the objective of developing joint projects and activities on issues relating to the promotion of national frameworks and policies for the prevention of forced displacement and the protection of refugees, asylum seekers, stateless people, and people displaced by violence. The memorandum also seeks to strengthen existing national and regional protection mechanisms and implement additional mechanisms to guarantee the protection of the population. The memorandum focuses especially on the judiciary and each of its departments that are involved in guaranteeing human rights. On January 31, 2019, the IACHR and OXFAM signed a cooperation agreement to promote the Inter-American Human Rights System and its standards as well as to boost the strengthening of institutional capacities for the promotion and protection of human rights through theoretical and practical tools that allow them to contribute to solving the current problems of the Hemispheric Human Rights Agenda. On December 10, 2018, the IACHR and the Office of the Attorney General of Colombia signed an agreement seeking to promote the use and application of the Inter-American System of Human Rights and its standards through a loan of associate personnel and educational, theoretical, practical, and communications-related tools that will enable the parties to solve issues that are currently part of the human rights agenda in the Western hemisphere. It should be noted that the parties may develop cooperation relationships in areas of common interest irrespective of this agreement. On December 5, 2018, the IACHR and the Executive Committee for Victim Assistance of the United Mexican States signed an agreement to establish a regulatory framework for reciprocal cooperation between the parties in the areas of consultancy, information exchange, and assistance in promoting, defending, and protecting the human rights of victims. The parties may also develop special cooperation relationships in areas of common interest through supplementary agreements, specific conventions, memoranda of understanding, or through the exchange of letters. On December 3, 2018, the IACHR and the Benito Juarez University of Oaxaca (UABJO) entered into an agreement with the objective of promoting the Inter-American Human Rights System and its standards among the university community and the general public, to provide specialized training to students and professionals, to send a fellow from the UABJO to the IACHR for twelve months as well as to set forth the intention to design and implement joint research projects. On December 3, 2018, the IACHR and the Metropolitan University of Ecuador entered into an agreement to support and disseminate the work of the IACHR and to promote the Inter-American Human Rights System among the university community and the general public. The agreement highlights the IACHR fellowship program through which the Faculty will be able to select and send professionals who are part of the university and have demonstrated a commitment to human rights, a solid academic background and a command of at least two official languages of the OAS. On November 14, 2018, the IACHR and the Office of the Human Rights Attorney General of Guatemala signed an agreement to establish the regulatory framework of cooperation between the Parties to promote the Inter-American Human Rights System and its standards among the university community and the general public as well as to provide students and professionals with specialized training. Likewise, the agreement also aims to exchange professionals as Associate Personnel, deliver documents and specific information in relation to work programs of interest to both Parties and to carry out joint activities. On November 5, 2018, the IACHR and the National Council of the Federal Public Prosecutor's Office of Brazil entered into an agreement to establish a regulatory framework of cooperation mechanisms between the Parties to promote the Inter-American Human Rights System and its standards. The agreement also highlights the exchange of professional personnel to support the IACHR and the establishment of special cooperation mechanisms, such as teaching prosecutors or officials about the Inter-American Human Rights System and the implementation of joint projects for the promotion and protection of human rights. On November 5, 2018, the IACHR and the Federal Public Ministry of Brazil signed an agreement to establish a basis for cooperation mechanisms between the Parties so that they can collaborate in a broad, direct, and reciprocal manner in promoting technical and cultural exchange, through visits by representatives, the exchange of documents (such as jurisprudence, bibliographic material, studies, evaluations, and statistics), the training of members and collaborators, in the terms of their respective competencies, and the implementation of other joint activities of mutual interest. On October 18, 2018, the IACHR and the University of Oklahoma entered into an agreement to support and disseminate the work of the IACHR and to promote the Inter-American Human Rights System among the university community and the general public. The agreement highlights the IACHR fellowship program through which the Faculty will be able to select and send professionals who are part of the university and have demonstrated a commitment to human rights. The scholarship will be aimed at disseminating and strengthening the standards and mechanisms for the protection of human rights as well as the activities developed by the IACHR. Likewise, the agreement also aims to exchange professional personnel, subject to the possibilities of the parties, as well as to carry on other special cooperation activities such as the design and implementation of research projects. On October 4, 2018, the IACHR and CONAPRED entered into an agreement to establish the regulatory framework of cooperation mechanisms between the Parties to strengthen their institutional relationship and to identify, promote and determine projects and/or work in areas of common interest, focused on the promotion, protection and guarantee of human rights in the Mexico. To this end, the agreement establishes that the parties may enforce different cooperation mechanisms, including support to strengthen the knowledge and capacity of Council Officials to use the instruments, mechanisms and standards of the Inter-American System and the implementation of awareness-raising activities aimed at disseminating information on discrimination issues. The agreement also encourages the implementation of programs, projects, and other activities of interest to the parties throughout the duration of the agreement. On September 26, 2018, the IACHR and the Public Prosecutor of Chile entered into an agreement to establish the regulatory framework of cooperation mechanisms between the Parties to promote the Inter-American Human Rights System and its standards at the Public Prosecutor's Office. The agreement establishes this purpose in order to provide specialized training through theoretical and practical tools that contribute to solving the current problems of the Hemispheric Human Rights Agenda. Likewise, the agreement also aims to exchange professional personnel to provide support to the IACHR and highlights the establishment of special cooperation mechanisms such as teaching prosecutors or officials about the Inter-American Human Rights System and the implementation of joint projects for the promotion and protection of human rights. On September 14, 2018, the IACHR and the Torcuato Di Tella University of Argentina entered into an agreement to support and disseminate the work of the IACHR and to promote the Inter-American Human Rights System among the university community and the general public. The agreement also aims to provide specialized training to students and professionals through theoretical and practical tools that will enable them to contribute to solving the problems of the Hemispheric Human Rights Agenda. Among the special cooperation relationships established by the agreement, it is important to mention the design and implementation of joint research projects, the study of cases solved by the IACHR and the Inter-American Court of Human Rights as well as the reciprocal collaboration in teaching and promoting activities of the Inter-American Human Rights System. On September 11, 2018, the IACHR and the Truth, Coexistence and non-Repetition Commission of Colombian entered into an agreement to establish a regulatory the framework of cooperation mechanisms between the parties. As part of these mechanisms, the guidelines to give advice and exchange information related to Colombia´s internal armed conflict stand out. Likewise, the agreement takes into account different cooperation mechanisms, including the development of research projects, the exchange and delivery of bibliographic material, archives, and relevant information and the exchange of professional personnel to strengthen study and research programs. The agreement also includes the terms for the identification and implementation of programs, projects and joint activities of interest to the parties throughout its duration. On August 4, 2018, the IACHR and the International Land Coalition (Latin America and the Caribbean) entered into an agreement to collaborate and promote the Inter-American Human Rights System and its standards. They also agreed to develop joint actions that provide tools to member organizations of the ILC and their allies to achieve a better defense and promotion of human rights; in particular, those related to access to land and the environment. The agreement highlights special cooperation mechanisms, such as providing assistance for access to the Inter-American Human Rights System in specific cases related to land rights and the environment as well as the necessary provisions to identify and implement joint programs or projects that are of common interest to the parties. On July 27, 2018, the IACHR and the School of Law of the National University of Córdoba entered into an agreement to support and disseminate the work of the IACHR/ESCER as well as to promote the Inter-American Human Rights Systems and its mechanisms among the university community and the general public, especially in relation to economic, social, cultural, and environmental rights. The agreement emphasizes that the IACHR fellowship program is available to the University of Cordoba so that students are able to directly participate with the work of the Special Rapporteurship on Economic, Social, Cultural and Environmental Rights (ESCER) for a given period of time. In addition, the agreement establishes other special mechanisms of cooperation between the IACHR and the academia to promote and teach the Inter-American Human Rights System to students and professionals, primarily in matters that relate to economic, social, cultural and environmental rights. On July 26, 2018, the IACHR and UCLA entered into an Agreement with the purpose of establishing the conditions to carry out a single scholarship program at the Executive Secretariat of the IACHR by a professional graduated from UCLA Law School. At the same time, the agreement establishes the cooperation framework between the parties in order to promote the application and use of the Inter-American Human Rights System and its standards among the academic community and the general public, as well as to provide specialized training to students and professionals through theoretical and practical tools that allow them to contribute to the resolution of the current problems of the Hemispheric Human Rights Agenda. On May 17, 2018, the IACHR and Brown University entered into an Agreement to exchange information and to provide access to the archives of IACHR on cases linked to Brazil between 1967 and 1988. Thus, the agreement defines the mechanisms to access any information as well as the guidelines for the management of the archives that are related to the development of the Research Projects carried out by the IACHR and Brown University Research. On April 20, 2018, the IACHR and the Ministry of Labour and Employment of Brazil entered into an Agreement to establish the regulatory framework of cooperation mechanisms between the parties to promote the use and application of the Inter-American Human Rights System, its standards and recommendations. The agreement establishes that this objective will be fulfilled through the exchange of Associate Personnel as well as through the implementation of pedagogical, theoretical, practical, and communicative tools that allow the parties to contribute to solve the current problems of the Hemispheric Human Rights Agenda. At the same time, the agreement contemplates other cooperation mechanisms that the parties may use in order to bring attention to the main topics of interest in the area of human rights, to promote the teaching of the Inter-American system through case studies and provide specialized training in international human rights law to academics, students, public officials, and representatives of civil society. On April 19, 2018, the IACHR and the Catholic University of Peru entered into an agreement to set forth the bases of cooperation to promote the Inter-American Human Rights System and its standards through theoretical and practical tools that will allow the parties to contribute to solving the current problems of the Hemispheric Human Rights Agenda. Based on this main objective, the agreement highlights the development of a human rights competition as well as to let the IACHR internship program and other academic research activities to be available as other cooperation mechanisms that the parties may carry out. With the competition, participants will be able to put into practice their knowledge of international human rights, while the internship program will allow the university to support students or professionals who demonstrate their commitment to human rights and whom have a solid academic background. The agreement also includes the sponsorship of the fellowship at the IACHR in order to provide practical training to students on the Inter-American Human Rights System and the Associate Personnel exchange program through which the university will be able to select and assign one of its professionals annually to provide support to the IACHR for a specific period of time. On April 19, 2018, the IACHR and the IRRESODH entered into a cooperation agreement to promote the Inter-American Human Rights System and its standards through theoretical and practical tools that allow them to contribute to solving the current problems of the Hemispheric Human Rights Agenda. Among the activities to be developed are the formulation of joint trainings, the exchange of documents, publications, information and the development of joint research. On April 19, 2018, NGLCC Global, the international division of the National LGBT Chamber of Commerce (NGLCC), the Department of Social Inclusion of the Organization of American States (OAS) and the LGBTI Rapporteurship of the IACHR signed an agreement to document and analyze the discrimination, both social and economic, that lesbian, gay, bisexual, transgender and intersex (LGBTI) people in Latin America and the Caribbean are facing. As the IACHR wrote in its report “Violence Against LGBTI People”, "data collection mechanisms in OAS countries are very limited”. This limits the acknowledgment of the problem, limits effective interventions and often contributes to new human rights violations”. This research will achieve 3 objectives that contribute to an empirical basis and substantive knowledge. First, the team will analyze existing administrative data to see what can be analyzed in a meaningful way to talk about LGBTI issues. Second, the team will work with civil society and research institutions to develop indicators relevant to the survey. Third, the team will find government counterparts and companies to translate recommendations into public policy and thus make evidence-based interventions. On March 6, 2018, the IACHR, Save the Children and the Latin American and Caribbean Network for the Defense of Children and Adolescents (REDLAMYC) entered into a cooperation agreement to promote the Inter-American Human Rights System and its standards through theoretical and practical tools that allow them to contribute to solving the current problems of the Hemispheric Human Rights Agenda. 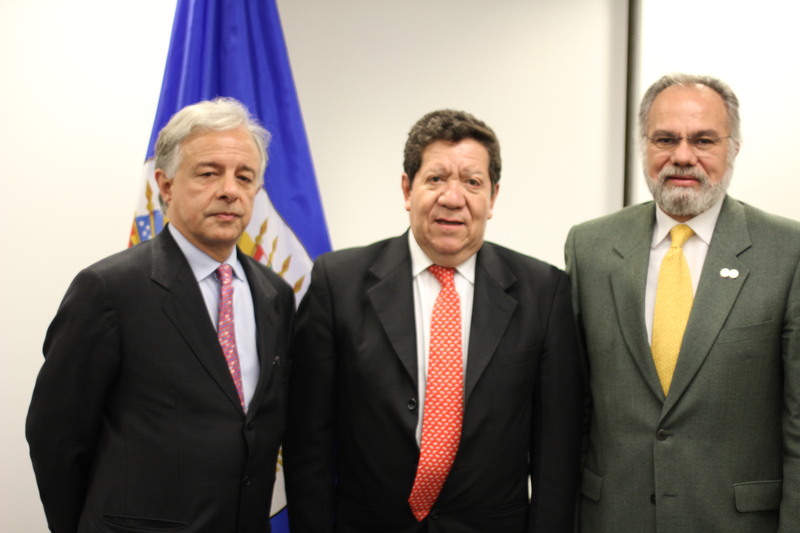 The parties agreed to sponsor a fellow to strengthen the capacities of the IACHR's Rapporteurship on Children. Through the agreement, the parties also undertook the obligation to support activities that promote the strengthening of the capacities of the IACHR Children's Rapporteurship as well as to exchange information and documents that are relevant and of interest to both parties. The agreement also establishes that the parties will work to strengthen the capacities of civil society organizations in the Americas in relation to the Inter-American Human Rights System. On February 22, 2018, the IACHR and the State of Colombia signed a cooperation agreement for the implementation and dissemination of international human rights instruments. The goal is to promote the Inter-American Human Rights System, through its instruments and standards, by providing technical assistance to the State of Colombia in the implementation of the Peace Agreement. On December 7, 2017, the IACHR and the Office of the Ombudsman of the Republic of Panama entered into a cooperation agreement to promote the Inter-American Human Rights System and its standards through theoretical and practical tools that allow them to contribute to solving the current problems of the Hemispheric Human Rights Agenda. Among the activities to be developed are the exchange of documents, publications, information and the development of joint research. In addition, the parties have agreed to exchange Associate Personnel so that employees from the Office of the Ombudsman of the Republic of Panama may spend time at the IACHR. On December 4, 2017, the University of Colorado Law School and IACHR entered into a cooperation agreement. Through this agreement, students in the second year of the Master of Studies in Law and Human Rights program at the University of Colorado will be able to apply for a one-year fellowship program at the IACHR. A student in the MSL Human Rights program may be eligible to be a fellow at the IACHR as long as he or she has completed the minimum required number of credits after the first year of the academic program at the university. On November 9, 2017, the IACHR and Diego Portales University entered into a cooperation agreement to disseminate and promote the application of the Inter-American Human Rights System among the university community. Through the agreement, students from the University's Law School will be able to apply for internships at the IACHR, where there will be two internship positions reserved to be awarded to students who demonstrate commitment to human rights and a solid academic background. In addition, the main objective of the agreement will be implemented through the nomination of fellows who will be able to work at the IACHR each year and receive training on the Inter-American System for the Promotion and Protection of Human Rights, as well as by sending Associate Personnel to work at the IACHR. On September 4, 2017, the IACHR and the Office of the Human Rights Ombudsman of Oaxaca entered into a cooperation agreement to promote the Inter-American Human Rights System and its standards, through theoretical and practical tools that allow them to contribute to solving the current problems of the Hemispheric Human Rights Agenda. Among the activities to be developed are the exchange of documents and publications, information, and the development of joint research. In addition, the parties have agreed to exchange Associate Personnel so that employees from the Office of the Human Rights Ombudsman of Oaxaca may spend time at the IACHR. On August 7, 2017, the IACHR and Stanford Human Rights Center at Stanford Law School entered into a cooperation agreement. The purpose of the agreement is to establish the cooperation framework between the parties in areas of common interest. In addition, the parties agreed to exchange professionals or qualified personnel to give courses, seminars, conferences or any other academic activity including research, to send documents, publications and information and to develop joint research. On May 31, 2017, the IACHR and the Inter-American Association of Public Defenders entered into a cooperation agreement to promote the Inter-American Human Rights System and its standards through theoretical and practical tools that allow them to contribute to solving the current problems of the Hemispheric Human Rights Agenda. Among the activities to be developed are the exchange of documents and publications, the exchange of information and the development of joint research. In addition, the parties have agreed to exchange Associate Personnel so that personnel from the Inter-American Association of Public Defenders may spend time at the IACHR. On May 26, 2017, the IACHR and the Public Defender's Office of the Republic of Chile entered into a cooperation agreement to disseminate and promote the application of the Inter-American Human Rights System. Among the activities to be developed are the exchange of qualified personnel to give courses, seminars, conferences or any other academic activity, to exchange documents, publications and information as well as to development joint research. In addition, the parties provide to exchange Associate Personnel to work at the IACHR. On May 26, 2017, the IACHR and the Attorney General´s Office of the City of Buenos Aires entered into a collaboration agreement to promote the Inter-American Human Rights System and its standards through theoretical and practical tools. In order to carry out this objective, the parties undertook the obligation to work on the Inter-American agenda of human rights to promote the teaching of the Inter-American Human Rights System through the study of cases resolved by the IACHR and the Inter-American Court of Human Rights and to give access to specialized training in international human rights law. 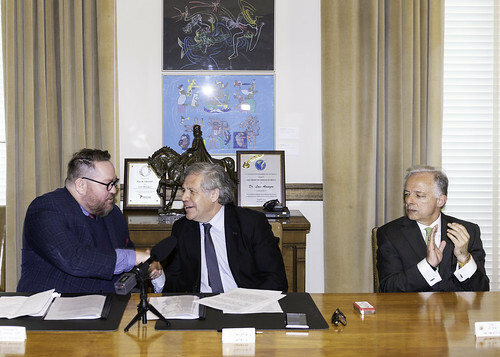 This agreement also highlights the commitment of the parties to offer professional training by sending professionals from the Attorney General´s Office of the City of Buenos Aires by means of fellowships as a “Associate Personnel”. The agreement also establishes that the parties may develop and implement research projects, grant access to databases and the strengthening of study programs, among other activities that relate to the exchange of professionals as fellows or as Associate Personnel. The IACHR and the Supreme Court of Mendoza entered into a cooperation agreement to disseminate and promote the Inter-American Human Rights System. The purposes of the agreement are the exchange of qualified personnel to give courses, seminars, conferences or any other academic activity, the exchange of documents, publications and information as well as the development of joint research. In addition, parties provide to send fellows and to exchange professional personnel to work at the IACHR for a specific period of time. The IACHR and the National Institute of Human Rights of Chile entered into a cooperation agreement to promote the Inter-American Human Rights System and its standards through theoretical and practical tools that allow them to contribute to solving the current problems of the Hemispheric Human Rights Agenda. Based on this agreement, the parties undertook the obligation to develop activities to visualize the main issues on the inter-American human rights agenda, to promote the teaching of the Inter-American System and its standards through the study of cases resolved by the IACHR and the Inter-American Court of Human Rights, to support specialized training for students, academics, public officials, and representatives of civil society and to offer professional training on the Inter-American Human Rights System through the exchange of professional personnel. On March 15, 2017, the IACHR and the Federal Public Defender's Office of Brazil entered into a cooperation agreement to disseminate and promote the Inter-American Human Rights System and its standards through theoretical and practical tools to address the current problems of the Hemispheric Human Rights Agenda. The activities to be carried out include promoting the teaching the Inter-American Human Rights System and its standards through the study of cases resolved by the IACHR and the Inter-American Court of Human Rights, providing specialized training in international human rights law to students, public officials, and civil society and strengthening the Inter-American Human Rights System by promoting its standards and protection mechanisms. On February 17, 2017, the IACHR and the Iberoamerican University entered into a cooperation agreement to promote the Inter-American Human Rights System and its standards through theoretical and practical tools that allow them to contribute to solving the current problems of the Hemispheric Human Rights Agenda. Among the activities to be developed are, among others, the exchange of documents, publications and information as well as the development of joint research. On December 2, 2016, the IACHR and the Public Defender´s Office of the Province of Santa Fe, Argentina, entered into a cooperation agreement to disseminate and promote the Inter-American Human Rights System. The activities to be developed are, among others, the exchange of qualified personnel to give courses, seminars, conferences or any other academic activity, the exchange of documents, publications and information as well as the development of joint research. In addition, the parties have provided to exchange professional personnel to work for a specific amount of time at the IACHR. 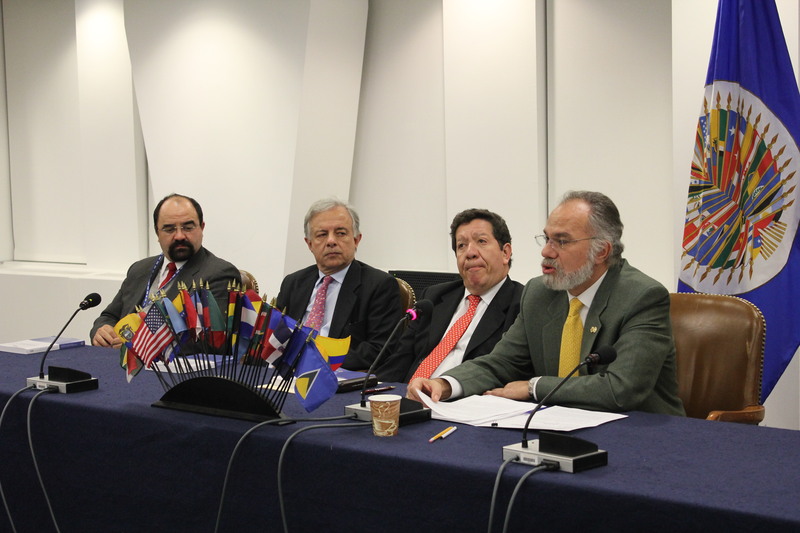 On December 2, 2016, the IACHR and the Observatory for the Right to Food for Latin America and the Caribbean entered into a cooperation agreement to promote the Inter-American Human Rights System and its standards through theoretical and practical tools that allow them to contribute to solving the current problems of the Hemispheric Human Rights Agenda. Among the activities to be developed are the exchange of documents, publications and information as well as the development of joint research. In addition, the parties provided an internship program so that personnel sent by the Observatory can work for a specific amount of time at the IACHR. On August 10, 2016, the IACHR and the Pan-Amazonian Ecclesial Network entered into a cooperation agreement. The purposes of the agreement are i) to create a cooperation strategy that allows for the exchange of experiences and good practices in the promotion, defense, and enforceability of the rights of the most vulnerable and violated groups in the Pan-Amazonian and their respective territories, ii) to promote the development of training programs aimed at the territorial actors of the Pan-Amazonian that are part of Pan-Amazonian Ecclesial Network, iii) to promote collaboration through cooperation actions and joint initiatives to strengthen the priority agenda of both parties, iv) promote actions to consolidate the capacity of Pan-Amazonian territorial actors that participate in Pan-Amazonian Ecclesial Network in the use of instruments and mechanisms of the Inter-American Human Rights System. In addition, this agreement seeks to contribute to the development and implementation of any program created by the parties, subject to the signature of the corresponding cooperation agreement, to create favorable conditions to increase cooperation between the parties based on their competencies and budgets and to promote joint activities aimed at generating systematic processes that allow for the adequate documentation of cases in the Pan-Amazonian territory that help prepare and present public, thematic or case hearings and/or special reports. Lastly, this agreement also seeks to train members of the Pan-Amazonian Ecclesial Network to present special requests of precautionary measures before the IACHR. On August 10, 2016, the IACHR and the Federal University of Do Pará entered into an agreement with the purpose of establishing the framework of cooperation mechanisms to disseminate and promote the application of the Inter-American Human Rights System. The agreement aims also to exchange personnel to give courses, seminars or conferences by professionals working in human rights and whom use the Inter-American System. The objectives of the agreement also include the exchange of qualified professionals to provide specialized training courses, the exchange of documents, publications, technical and statistical information as well as investigation development and collaboration in areas of interest to the parties. On October 28, 2015, the IACHR and the International Corporate Accountability Roundtable entered into a cooperation agreement aimed at setting a framework of cooperation mechanisms for the promotion and protection of economic, social and cultural rights with a focus on business and human rights as well as sustainable development in the Americas. Through the cooperation agreement, the parties agreed to promote an active exchange of knowledge and skills through training, advice, testing methodologies and documentation. In addition, the agreement established that ICAR would support the IACHR in the development of a strategy to create the Rapporteur on Economic, Social and Cultural Rights, and when relevant to the parties, will collaborate in the organization of events such as hearings and conferences. The agreement states that ICAR will sponsor a fellow to carry out the activities mentioned in article two of the agreement. On October 20, 2015, the Inter-American Commission on Human Rights (IACHR) of the Organization of American States (OAS) and the National Council of Justice of Brazil signed a Memorandum of Understanding which seeks to improve the development and implementation of human rights by Brazil's national judiciary. The agreement was a follow-up to the Letter of Intent signed in Brazil in February of this year. The President of the IACHR, Commissioner Rose-Marie Belle Antoine, indicated that "this Memorandum advances the intention of cooperation and describes in more detail the activities that we will carry out in order to achieve the objective of improving the education and dissemination of human rights for the benefit of a better administration of justice”. The activities will be carried out through work plans that will include: the participation of judges in IACHR training courses, the exchange of information, mechanisms and protocols that can be used by the Brazilian judicial system in relation to vulnerable social groups. Knowledge of Inter-American human rights standards will also be taught. For his part, the President of the Justice Council of Brazil, Minister Ricardo Lewandowski, stated that "The State seeks to apply its international human rights obligations in the national judicial system; hence the importance of Brazilian judges coming to the IACHR to learn about the functioning of the Inter-American Human Rights System”. On June 15, 2015, the University of the West Indies of Trinidad and Tobago and the IACHR entered into a cooperation agreement. The purposes of the agreement are to visualize the main issues on the agenda of Inter-American interest related to the situation of human rights, to promote the teaching of students about the Inter-American Human Rights System and its standards through the study of cases resolved by the IACHR and the Inter-American Court of Human Rights, to provide specialized training in international human rights law to academics, students, public officials, and civil society and to offer professional training by sending students or professionals from the University of the West Indies to the IACHR headquarters. On March 16, 2016, the IACHR and the Danish Institute of Human Rights signed an agreement aiming to strengthen national human rights systems in the areas of promotion and protection of economic, social and cultural rights (ESCR), with an emphasis on business and human rights and sustainable development in the Americas. The partnership is based on international and regional human rights law and applicable instruments, including the United Nations Guiding Principles on Business and Human Rights. The actions that are expected to form part of this collaborative agreement include knowledge sharing and capacity building, providing advice to member states of the Organization of American States (OAS) on the implementation of business and human rights standards, supporting the integration of those standards into the work of the IACHR and in general a wide range of other activities. This collaborative arrangement follows the adoption of resolution AG/doc.5452 by the OAS General Assembly in June 2014 on the promotion and protection of human rights in business, in which the General Assembly resolved to promote the implementation of the UPRs and to encourage Member States and their national human rights institutions to foster constructive dialogue among all interested parties in the implementation of the UPRs. The resolution also requests that the IACHR support States in promoting and implementing the commitments of both States and Corporations in the areas of human rights and business. On February 10, 2015, the IACHR and the National Justice Council of Brazil signed a joint cooperation agreement. The purpose of the agreement is to support the realization of training courses for judges and officials of regional judicial courts of the Brazilian State Magistrates' Schools through congresses, seminars, colloquiums or any other legal dissemination activity related to human rights. In addition, the parties provided to prepare an electronic bibliography of the Consoló Nacional website in order to achieve a better integration of conventional texts translated into Portuguese or any other legal material of interest. It also aims to publish a book with the texts of the international treaties that make up the universal and regional system for the protection of human rights. 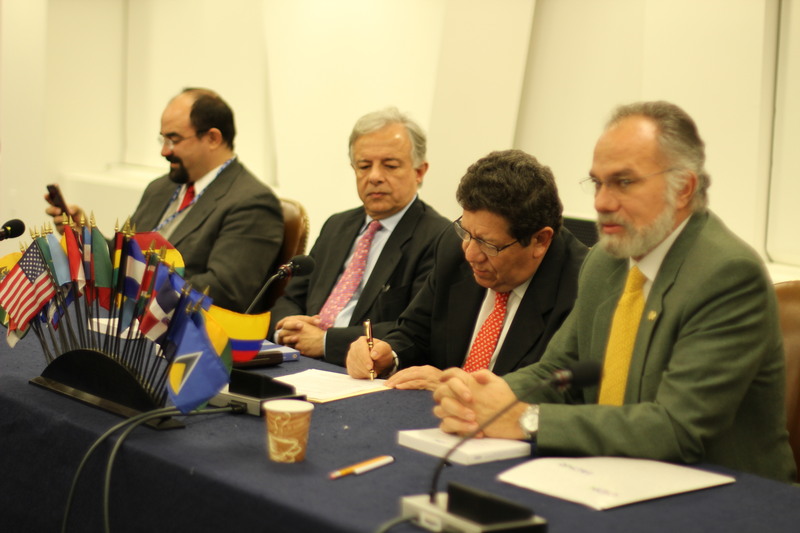 On November 24, 2014, the IACHR and the Colombian Institute of Human Rights entered into a cooperation agreement to promote the Inter-American Human Rights System and its standards through theoretical and practical tools that allow them to contribute to solving the current problems of the Hemispheric Human Rights Agenda. Among the activities to be developed are the exchange of documents, publications and information as well as the development of joint research. In addition, the parties provided to carry out the international human rights contest "Medellín Protects Human Rights". On November 19, 2014, the IACHR represented by President Tracy Robinson and Executive Secretary Emilio Alvarez Icaza Longoria, and the Office of the United Nations High Commissioner for Human Rights, represented by the High Commissioner, Zeid Ra'ad Al Hussein, signed a joint declaration on collaboration. The declaration aims to strengthen the partnership between the universal and regional human rights systems, by reinforcing and formalizing practices that have already been in place such as joint actions, regular consultations and exchange of information and collaboration in standard-setting, as well as other activities. The High Commissioner Zeid and the IACHR discussed human rights situations in the Americas of common concern in order to prioritize joint action, in particular human rights in the development and economic spheres, as well as the violence and insecurity plaguing many countries in the region. On November 18, 2014, the IACHR formalized an agreement for technical assistance with the Mexican State and the representatives of the missing students of Ayotzinapa. Through this agreement, the Commission will be able to appoint an Interdisciplinary Group of technical cooperation for the search of the 43 missing students from the Rural Normal School "Raúl Isidro Burgos" Ayotzinapa, Iguala as well as the investigations and actions to be adopted in order to punish the perpetrators and the assistance to the families. The primary purpose of this agreement is to solve the structural problems underlying the forced disappearances in Mexico, which have not been limited to the students of Iguala. The ceremony of the formalization of the agreement was held on November 18 in the Federal District and counted with the presence of the IACHR Rapporteur for Mexico, Commissioner James Cavallaro; the Executive Secretary of the IACHR, Emilio Alvarez Icaza; the Undersecretary for Multilateral Affairs and Human Rights of the Ministry of Foreign Affairs, Juan Manuel Gomez Robledo, and the beneficiaries of the precautionary measure granted by the IACHR to the students of Ayotzinapa, who were represented by Mario Pattern of Human Rights Centre Miguel Agustín Pro Juárez (Centre PRODH). The parents of the missing students were also present as well as representatives of the students of Ayotzinapa and representatives of the Attorney General's Office and the Interior Ministry. On September 11, 2014, the IACHR and the Inter-American Conference on Social Security entered into a cooperation agreement to promote, educate, train, conduct studies and other activities aimed at the development of human and social rights in the Americas. To this end, the parties identified activities to be implemented, such as creating an agenda to promote social security and human rights, contributing to the region with studies and research relevant to the exercise of social rights on the continent and jointly promoting the implementation of public policies on the continent in the areas of social security and human rights. At the same time, the objectives of conducting training courses on social security and human rights, which are aimed at government bodies or third parties with a high interest in matters such as this one, are to promote the Inter-American Human Rights System, its standards and protection mechanisms among the members of the Inter-American Conference on Social Security (CISS). On May 6, 2014, the IACHR and the National Truth Commission of Brazil entered into a cooperation agreement to provide access to all relevant documents for the investigation and clarification of serious human rights violations with the purpose of contributing to the process of historical reconstruction of memory, truth and justice in Brazil. Thus, the agreement aims to give access to the Truth Commission to the documents of individual cases presented before the IACHR between 1961-1985 that relate to what happened in Brazil throughout this period of time. The guidelines to give access to these documents by the IACHR are detailed in the agreement below. On April 3, 2014, the IACHR and the State University of Coahuila of the Mexican entered into a cooperation agreement to disseminate and promote the Inter-American Human Rights System. The purpose of the agreement is to honor Mexican Jurists whose work has had a positive impact on the development of human rights, to visualize the main issues on the agenda of Inter-American interest related to the situation of human rights, to develop legal activities and joint research and to hold congresses, seminars, colloquiums, conferences and bilateral forums. On the other hand, this agreement seeks to encourage the teaching of the Inter-American Human Rights System and its standards to students and to carry out at least once a year an Inter-American Observatory on Human Rights jointly between the Faculty of Law and the IACHR. The parties provided the creation of the "Venustiano Carranza" scholarship for professional education. On November 26, 2013, the IACHR and The Cyrus R. Vance Center for International Justice entered into a cooperation agreement whereby The Cyrus R. Vance Center for International Justice could provide legal assistance and counsel sponsorship to certain petitioners who could not access this assistance and who demonstrate that they do not have the financial means to acquire legal representation in certain cases. Thus, at the discretion of the IACHR, certain petitioners may also have access to legal representation provided by The Cyrus R. Vance Center for International Justice. On June 24, 2013, the IACHR signed the a cooperation agreement with the National Autonomous University of Mexico (UNAM). Through this agreement, the Inter-American Commission will support three activities to be carried out by UNAM: training students through hypothetical case studies, holding a specialized seminar on the subject, and awarding a fellowship that will enable a student to receive professional experience at the Inter-American Commission’s headquarters. On February 22, 2013, the Inter-American Commission signed a cooperation agreement with Paraguay’s Supreme Court of Justice, in order to strengthen the relationship of cooperation between the institutions. The goal of the agreement is to coordinate efforts to strengthen relations between the institutions, deepen the knowledge of the law and the promotion of a juridical culture to benefit a better delivery of justice, and to promote education in human rights. On November 15, 2012, the Inter-American Commission signed a memorandum of understanding with Colombia's Supreme Court of Justice, in order to strengthen the relationship of cooperation between the institutions. The document lays out the parties' intention to sign an agreement that reflects that interest, to protect and promote human rights, along with the intention to hold meetings and forums and implement training and educational programs for justice operators and the Colombian public. On October 18, 2012, the IACHR signed a Memorandum of Understanding on Institutional Cooperation with the Human Rights Commission of the Federal District (Comisión de Derechos Humanos del Distrito Federal, CDHDF), Mexico. On April 25, 2012, the IACHR signed a Memorandum of Understanding with the International Criminal Court (ICC). On March 29, 2012, the IACHR and the Public Prosecutor's Office of the City of Buenos Aires entered into a cooperation agreement where both institutions committed to coordinate efforts to strengthen their relations, deepen knowledge of the law and disseminate international instruments for the promotion and defense of human rights. The agreement also provides for the holding of congresses, seminars, colloquiums, symposiums, conferences and bilateral or multilateral forums to achieve the goals proposed by both parties, the promotion of legal and research activities for subsequent publication and internships for agents of the Public Prosecutor's Office at the IACHR headquarters. On October 14, 2011, the IACHR signed an Agreement with the Supreme Court of Justice of Mexico.